This easy recipe for glazed carrots makes a nice side dish for a family dinner or holiday occasion. 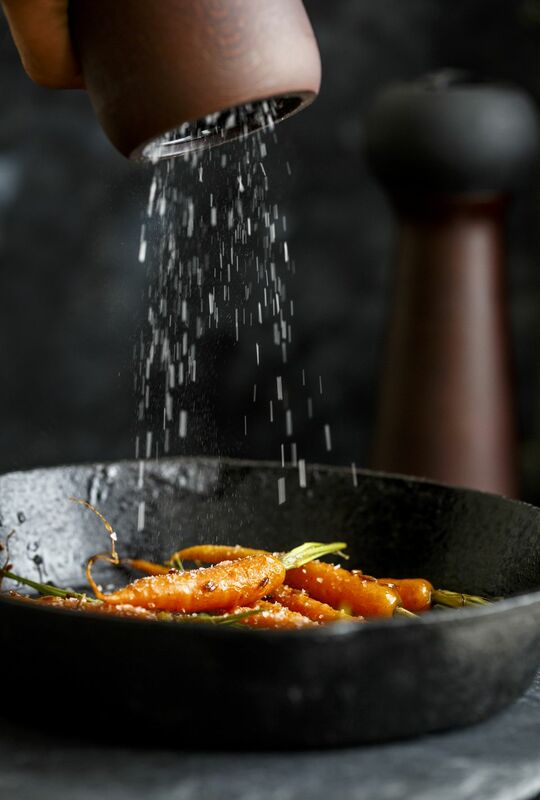 The combination of flavors in the five-spice powder―sour, bitter, sweet, pungent, and salt―add a powerful punch to the sweet glazed carrots. Wash and chop the carrots. Combine the water, soy sauce, and sugar and set aside. Melt the butter in a frying pan over medium heat. Add the carrots. Add the five-spice powder, stirring in with the carrots. Add the water, soy sauce, and sugar mixture. Bring to a boil. Lower the heat, cover and gently simmer the carrots until they are tender and pierce easily with a fork, about 10 minutes. Remove the lid. Turn the heat up to high and cook the carrots, stirring occasionally, until the liquid is burned off (5 to 7 minutes). Serve hot.